Here comes the Bride…. it’s a classic. Vivaldi? Love it. But since you’re spreading your wings and creating a different sort of wedding experience, consider this. 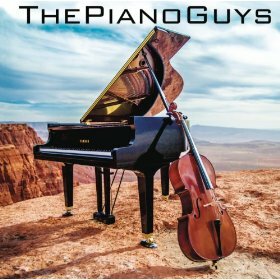 Whether you walk down the aisle or down the beach at your destination wedding, set the stage with alternative music such as “A Thousand Years” by The Piano Guys (click here for a listen). Its slow, measured pace, a sort of love song between piano and cello, sets the stage- transporting you and your guests into an open, relaxed presence where the timeless nature of the vows you make will shine for years in memory. Looking for the perfect backdrop? May we suggest the Delegal Room at the King and Prince: historic, elegant, yours for a day. This entry was posted on Friday, November 9th, 2012 at 10:00 am	and is filed under Weddings. You can follow any responses to this entry through the RSS 2.0 feed. Responses are currently closed, but you can trackback from your own site.